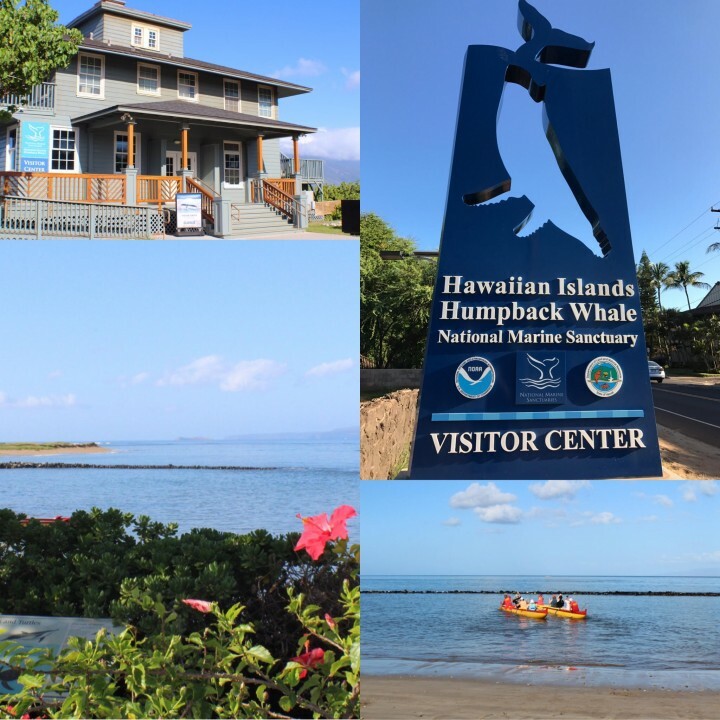 Mahalo nui loa Hawaiian Islands Humpback Whale National Marine Sanctuary for hosting EcoAdapt’s two-day Climate Adaptation Workshop! What a remarkable space to bring together over 40 land managers & decision makers from federal, state, county, watershed groups and non-profits. As people filled the room, hugs were exchanged and questions about projects started immediately. It was apparent that these folks have a history of working together and a genuine passion for their island/s. Darla White commented, “I’m so glad to see all of these partners from around the island working together AND it will take all of us to do this work.” Everyone shared what they hoped to get out of the workshop and most people were looking for guidance of where to go next, a road map of sorts. People were hungry for a suite of strategies & best practices that they could apply to their own work. 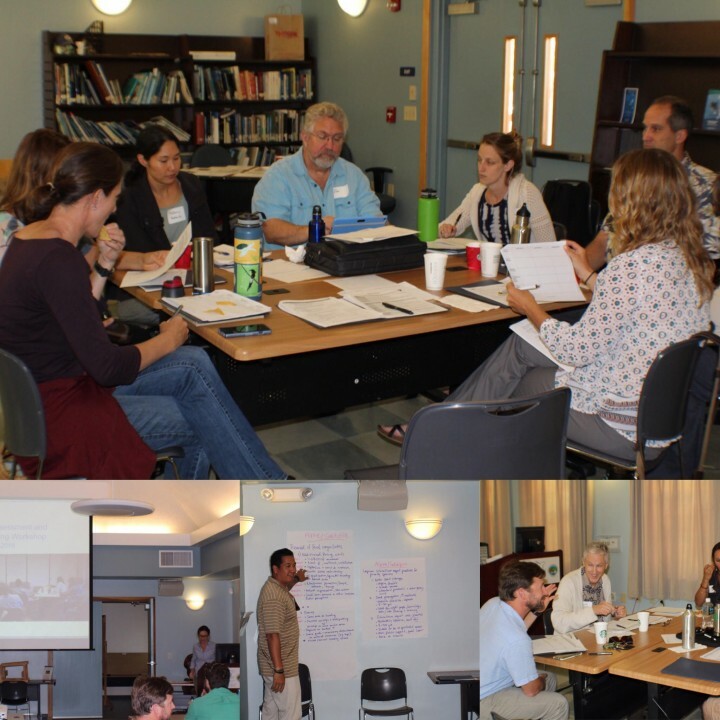 Throughout the two days, relationships were deepened, people listened to concerns, shared observations and strategized how to do their work differently or through a new climate-informed lens. Let me start off by saying that people dove into the work without hesitation. First reviewing the vulnerability assessments from the workshop last August. Next working in multi-agency collaborative groups to brainstorm actions that reduce vulnerability of different habitats. 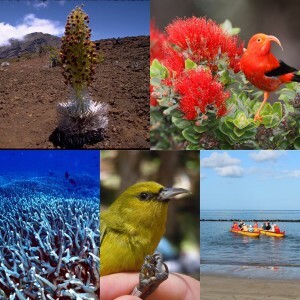 The teams did their best to identify what was driving the vulnerability of habitats across the three islands & tried to better understand different future climate scenarios. Our conversations about climate impacts on species and habitats meant that we were also discussing impacts on our cultural resources. People also spent some time talking about a series of adaptation actions and if the proposed strategies were reversible. We kept asking if these ideas were mitigations or adaptations? I loved Rachel’s explanation that mitigation is like wearing a seat belt and adaptation is like having an insurance policy. Some actions might be necessary for short term situations (sand bags on hand) and other actions needed creative alternatives or a variety of strategies that could be used to build resiliency. Reality hit home for one group, when a scenario indicated that we might have to abandon our efforts & let nature take its course and focus on habitats or resources that can be saved or restored. The participants were asked, “What do we do?” and “How do we do it? ” What will it REALLY take ($, capacity, resources, etc.)? Funding kept coming up as a barrier to implementing actions. The second we asked them to take money or constraints off the table & asked them if our lands, water, and culture ARE worth saving and protecting, they all agreed it was worth it. That was the tipping point that shifted them thinking more broadly. It was funny, but that critical question forced everyone to keep their eye on the prize & dig a little deeper, think differently, get creative and look further into the future. Ideas began to flow & they were giggling a little more, because some strategies and actions seemed a bit far fetched at first. This shift in energy as I perceived it, was the paradigm shift intended for this workshop. “Give a man a fish, and you feed him for a day. Teach a man to fish, and you feed him for a lifetime.” These ideas they were generating with partners and they worked through the process together. Ultimately, this means they can easily replicate this process again and possibly bring it back to their organization. This ownership & realization that we can do this together is far more valuable than telling them what they need to do. We spent time unveiling some of the barriers or challenges that were blocking the process. Some table groups discussed that in order for change to happen around the island & to get the funds, resources, and the capacity to move forward that communication was needed at a variety of levels. They recognized that we all need to inform and engage our communities, our leaders, and the next generation. We need to invite these audiences back into these pocket habitats, emphasize the cultural and ecosystem services & speak to what we value. The tools are being developed to tell these stories and collaboration can make these efforts more effective and sustainable far into the future. Quite a remarkable process to get to that point and please note that we have a long way to go still, but the planning will help keep us on course. Everyone worked extremely hard and many, if not all, got a bit frazzled at times. However, putting context to this work and exploring a variety of actions meant that adaptation strategies were discussed from a variety of perspectives and explored the range of actions from small to even outlandish. I would also add that collaboration is not always easy, but given space and time to dive deeper these practioners made a ton of progress. Participants identified ways to strengthen our work & started the foundation for future projects which is extremely exciting. These workshops are really just the starting point. Bringing people together and weaving climate adaptations into all aspects of management is not adding a paragraph to a plan and not just one action that is universal across the State of hawai’i. It is more complex than that. However if our goal is to protect our islands mauka to makai, our people & our culture and we keep that central to our work, we can do most anything. Mahalo nui loa to everyone who participated and we look forward to working with you again soon. 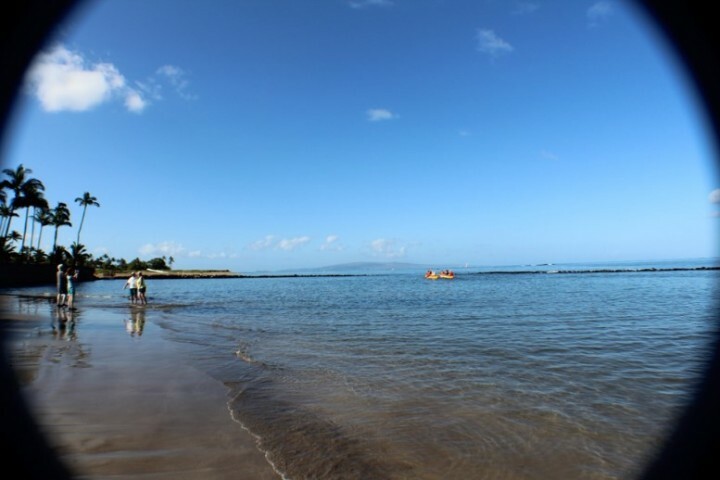 The photograph on the right is of Kōʻieʻie Loko Iʻa, the historical fishpond at the Hawaiian Islands Humpback Whale National Marine Sanctuary is being restored with the help and guidance of ʻAoʻao O Nā Loko Iʻa O Maui. Restoring cultural heritage means restoring our lands, our waters, and our people. But in order to do that, we need the right people in our canoe, our paddles in the water, and a vision of where we are going.